Dairygold has continued its winning streak on the cheese awards circuit by scooping four coveted awards at the World Cheese Awards earlier this week. Held this year in Bergen, Norway, the competition saw a record-breaking line-up of 3,500 cheeses from 29 countries from all corners of the globe. These recent wins top off an impressive year for Dairygold and its cheese products, having achieved 27 prestigious accolades. At the World Cheese Awards, Dairygold was awarded two silver medals and two bronze medals. Dairygold’s Irish White Mature Cheddar Block and its Irish White Mature Cheddar Standard Grate both picked up silver awards while the cheesemaker’s Irish White Extra Mature Cheddar Standard Grate and Irish White Extra Mature Cheddar Slice took home bronze. The 239 expert judges, who came from 29 nations, made their judgements based on an analysis of the colour, texture, consistency and, above all, taste. 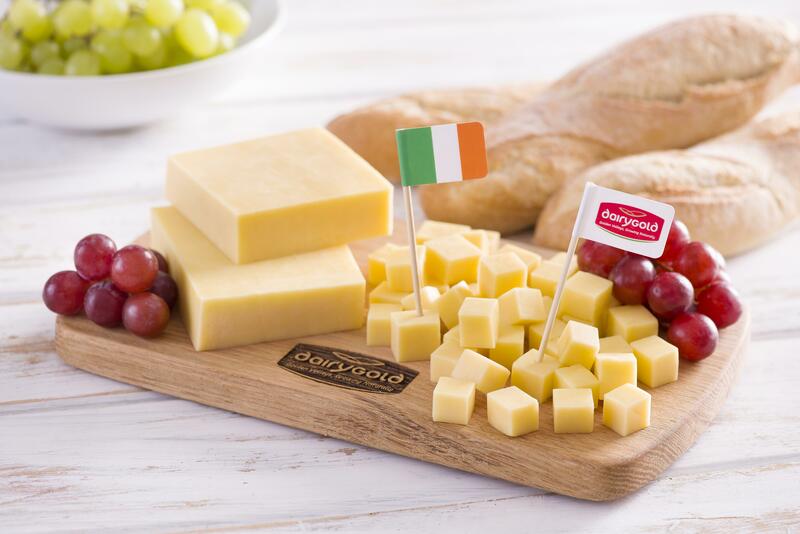 In 2018, Dairygold picked up awards at the Great Yorkshire Show, the Global Cheese Awards and the British Cheese Awards, with gold medals earned by its American Style Soft Cheese, its Irish White Mature Cheddar Slice and the Imokilly Full Fat Soft Cheese, among others.